Splat the Cat and the Pumpkin-Picking Plan on TheBookSeekers. 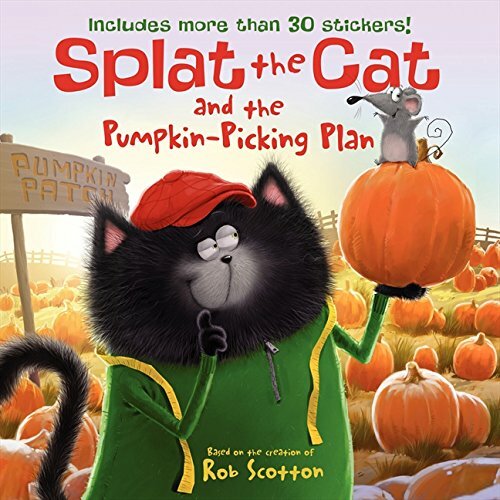 Join Splat the Cat in New York Times bestselling author-artist Rob Scotton's Splat the Cat and the Pumpkin-Picking Plan. Splat goes to a pumpkin patch with Seymour, and he is determined to find the biggest pumpkin ever. But when he finally does, Splat finds out the real challenge isn't the pumpkin pickingit's how to get the pumpkin home!Complete with stickers, this storybook is perfect for fans of the Splat the Cat picture book series. Young readers will love laughing along with their favorite furry cat as he thinks up the perfect plan in this hilarious new Splat the Cat adventure!